Custom sizes from 100 x 100mm up to 1100 x 14500mm (1.1 x 14.5 metres). We also offer a range of standard sizes, as well as cards and ready-to-hang fine art canvas prints. For assistance with selecting the right paper for your print, see our paper selector or order a sample pack. Our go-to smooth fine art matte paper. It is 300 GSM, strong and smooth with a beautiful vellina brushed finish. We will add a 2-4mm handling border (depending on the size of the print) outside the print size for handling. We will trim the finished print to the exact size ordered. Choose this if your artwork already has a border in the file. Ensure the size of your file matches the print size ordered. Upload your artwork in JPEG, PSD or TIFF format. 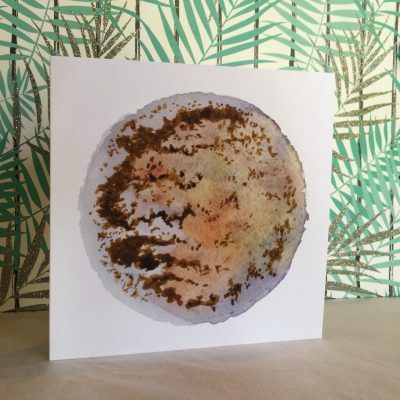 Your artwork should be sized to match the ordered print size. You can also provide your artwork later. We can print at any custom size from 100 x 100mm up to 1,100 x 14,500mm (1.1 x 14.5 metres). Our giclee fine art prints are printed on our state-of-the-art Canon PRO-4000 and Epson wide format fine art printers using the very best museum archival grade papers and canvas, from trusted paper merchants including Hahnemühle, Canson and Ilford. Our studio offers a fully colour managed process from start to finish to give you the most accurate output possible. 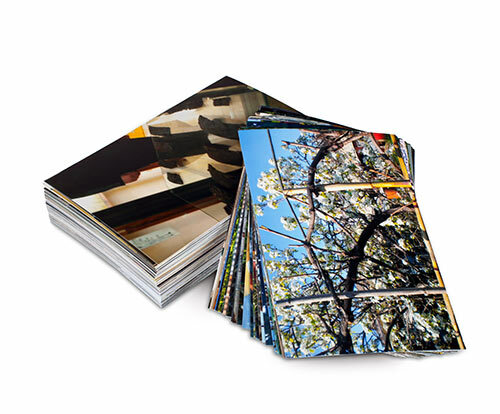 We offer free consultation and review of submitted files, colour correction, paper recommendations as well as advice and recommendations on print handling, framing and presentation. The size selected is the final size of the print. We optionally add a small ‘handling border’ of 2-4mm outside the finished print size if selected above. If you require a larger border, please include it in the uploaded image. Please ensure all files are print-ready and correctly sized, otherwise your image may be cropped. Every file submitted is checked by a real human before printing to identify possible issues and we’ll let you know if we think something isn’t quite right with your submitted file. 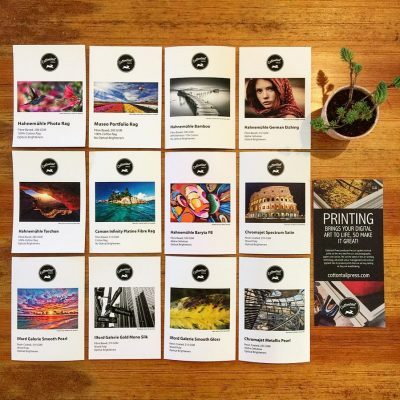 We also offer free assistance with paper selection, colour correction and any other aspect of our printing services — get in touch and we’d be happy to help! In addition to custom sizes, we also offer a wide range of standard sizes for easy ordering. To ensure the best possible prints from your digital files, please upload files with the following specifications. We accept Photoshop (PSD), JPEG and TIFF files for printing. All files must be RGB (no CMYK) and we recommend using either Adobe RGB (1998) or ProPhoto RGB colour profiles. Your files should ideally be at least 300dpi and must be correctly sized for the size of print that you order. Files at incorrect dimensions or aspect ratio may be cropped or distorted. We add an approximately 4mm handling border to all finished prints unless otherwise specified. This allows for safe handling and easy framing of your prints. If you require a larger area, this must be included in your file, and a final print size that accommodates the border must be ordered. For all items other than stretched and ready-to-hang canvas products, we charge a flat rate for shipping anywhere in Australia, and if you spend at least $200 in a single order, your order ships free. 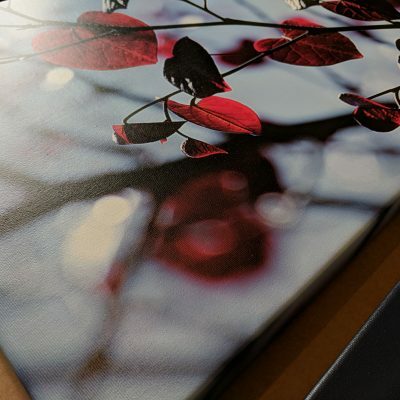 Stretched and ready-to-hang canvas products are shipped at a flat rate via either Australia Post Parcel Post (NSW/ACT) or StarTrack Premium (all other states).